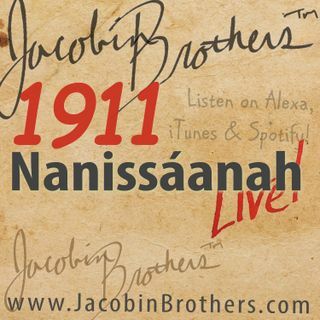 JLB1911 / Nanissáanah | Jacobin Brothers™ Live! Nanissáanah (Ghost Dance) was a ceremony practiced by Indigenous Tribes with the goal of liberating the Nations from American oppression. The U.S. Army's fear of the Ghost Dance led directly to the greatest massacre of unarmed people on North American soil. Visit a period of broken treaties and government over-reach (not 2017) in this study of Nanissáanah.